A major criticism of Invisible Children's KONY2012 campaign was that it was a front for US intervention in Africa. The validity of this and many other criticisms are covered in Beyond KONY2012. Patrick, Elke and I wanted to alert you to a fantastic free e-book, Beyond KONY2012, edited by Amanda Taub of Wronging Rights who has put together a stellar cast of contributors, including Laura Seay, Rebecca Hamilton, Alex Little, as well as my friend, and one of the most important thinkers on the subject, Adam Branch. The book is specifically aimed at those who heard about the LRA conflict for the first time during Invisible Children’s Kony 2012 campaign. It seeks to offer some of the context that the Invisible Children videos neglect and to do so in an accessible way. The book is also suitable for teachers who want to tackle the subject with their students. Both Patrick and I were honoured to contribute to the book. Patrick’s piece provides an overview of military operations against the LRA and examines whether or not military intervention can stop the LRA. My contribution examines the peace that emerged in northern Uganda from the Juba Peace talks between the LRA and the Government of Uganda. This book is for those who know a little about Joseph Kony and the Lord’s Resistance Army, and want to know more. 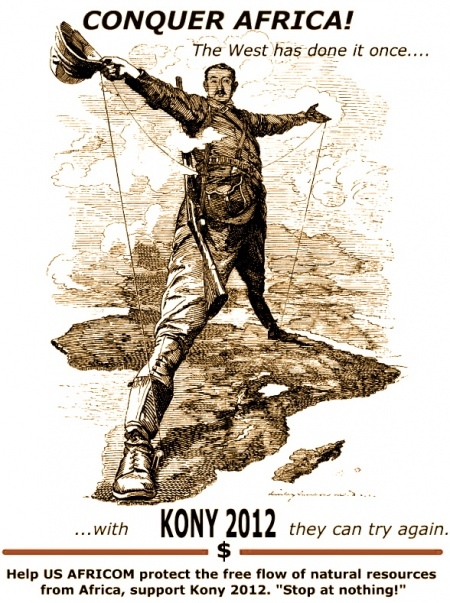 Invisible Children’s Kony 2012 has become the most viral video ever. Concerned citizens around the world, from middle school students to celebrities like Oprah and Justin Bieber, watched the film and shared it with their friends. It has now been viewed more than 87 million times. That success was soon met by a critical backlash. Critics nearly as varied as the campaign’s supporters pointed out that Invisible Children was offering an oversimplified, even misleading narrative. They faulted the campaign for failing to provide a context for the LRA conflict, and pointed out that the video portrayed Africans as either helpless victims, or heartless killers. This book is both a collection of that criticism, and a constructive response to it. The authors each wrote a short essay offering information that they felt was missing from the video, or explaining how they thought the campaign could be improved. Needless to say, we encourage you to go and get a copy! This entry was posted in Activism, Advocacy, Books and Publications, Lord's Resistance Army (LRA), Uganda and tagged KONY2012. Bookmark the permalink.